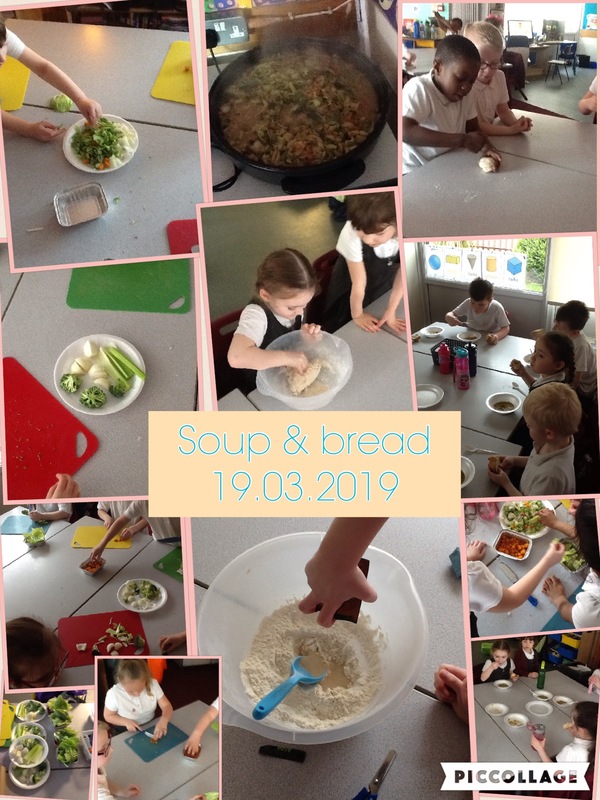 In Year 1 today we have been making soup and bread from scratch! We loved chopping up the vegetables and mixing the dough! Just a reminder that the children will be taking part in the Year 1 Phonics Screening Check in June. We would really appreciate your support in encouraging your children to read little and often and play phonics games at home. If you would like any further information regarding how to support your child please ask your class teacher and see information below. 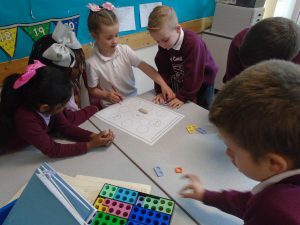 We enjoy working in our maths investigation groups. We work together to find the possible answers. class 3 used Numion too! We take turns to write down our ideas and answers. 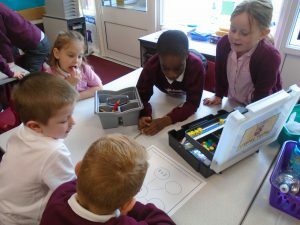 We used our maths toolkits to help us! 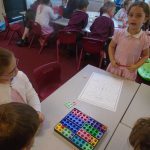 We work together to find different ways to make 5. 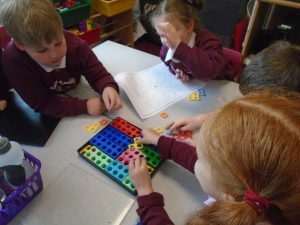 We used Numicon to help us too! We talk about our ideas! Click on the link below to see how we can achieve this. 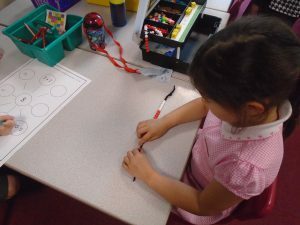 Phonics is a method of teaching children to read and write skilfully. They are first taught how to recognise the sounds made by each letter and combination of 2/3 letters. Children are taught to read by breaking down words into separate sounds or ‘phonemes’. They are then taught how to blend these sounds together to read the whole word. 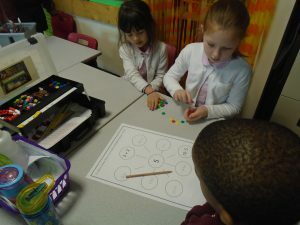 Phonics is taught through short, daily sessions throughout our school using a range of strategies such as games, computer programmes, reading and writing activities. 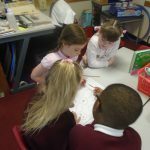 The phonics programme is split into phases through which the children progress throughout Early Years and Key Stage 1. 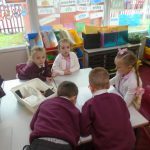 Research has proven that when phonics is taught through a structured programme, starting with single sounds and progressing to more complex sounds consisting of more than one letter, it is the most effective way of teaching children to read. Almost all children who receive good structured phonics teaching will learn the skills to approach new words confidently leading to fluency and reading for pleasure. 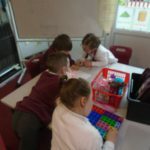 Reading is a complex skill and whilst we recognise the importance of phonics teaching we also use a wide range of additional strategies which supports the development of reading. The National phonics screening check is a statutory assessment that was introduced in 2012 for all Year 1 pupils and is used to check your child’s phonics knowledge. It comprises of a list of 40 words, some real and some ‘nonsense’ or ‘alien’ words. 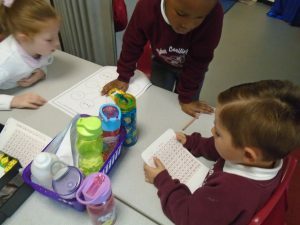 The children are asked to break down each word and blend together to read the whole word. 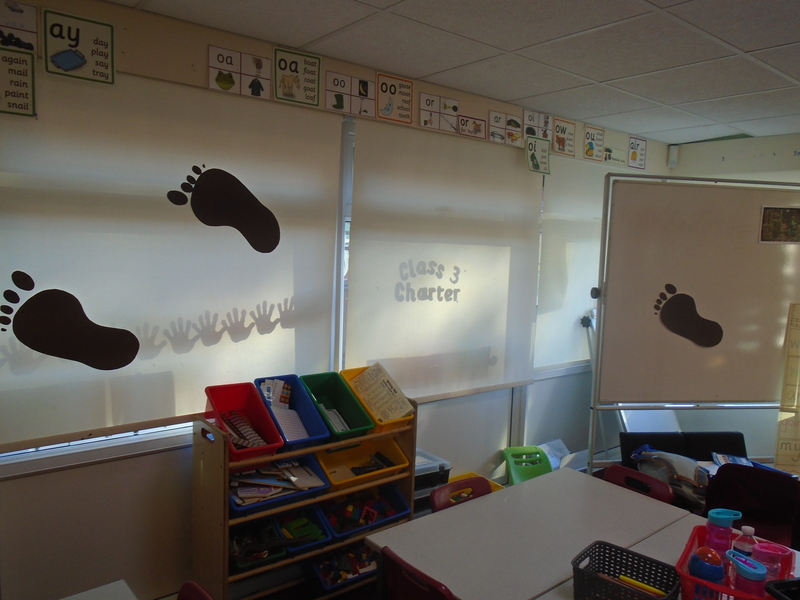 The check will assess phonics skills and knowledge learnt through reception and year one. The check will be completed individually with your child’s teacher .